sgtpectoralismajor changed some attributes to N.E.S.T Survival Bunkers v1.5: Summary changed. ; Description changed. sgtpectoralismajor changed some attributes to N.E.S.T Survival Bunkers v1.5: Name changed to 'N.E.S.T Survival Bunkers v1.5'. ; Summary changed. ; Description changed. sgtpectoralismajor changed some attributes to N.E.S.T Survival Bunkers v1.5: Description changed. sgtpectoralismajor changed some attributes to N.E.S.T Survival Bunkers v1.5: Name changed to 'N.E.S.T Survival Bunkers v1.4'. 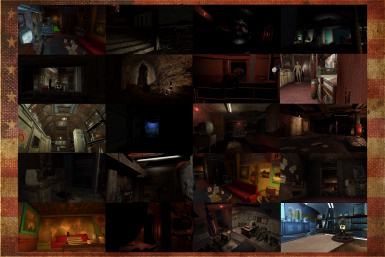 sgtpectoralismajor changed permissions for N.E.S.T Survival Bunkers v1.5: Author changed their permission instructions. ; Users are not allowed to modify this file. ; Users are not allowed to use assets from this file under any circumstances.